Celebrate National Young Readers Day with a New Book! 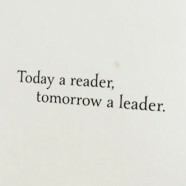 Today, November 12th, is National Young Readers’ Day! Created by Pizza Hut, that ubiquitous pizza chain, and the Center for the Book in the Library of Congress, this holiday of sorts started in 1989 and is celebrated every year in the 2nd week of November. Its purpose: to encourage children to read more. Children learn to enjoy reading by example, and when they see adults who enjoy reading they are more likely to emulate them and read for enjoyment themselves. On National Readers Day, many schools invite famous celebrities, public figures, parents, and guests from the community to read a book aloud to their students. Reading surrounds us, labels us, defines us. Here’s a true story. There was this little girl, and at age three her mom gave her some picture books and Archie comics to read. She took a liking to the Archie comics – which had more pictures than the picture books – and so her mom would buy her some more once she finished “reading” the copies she had. Of course she couldn’t read; she was just 3 years old. But she kept “reading” the pictures, asking mommy what the pictures meant. After a while she would ask her mom to read to her the sentences in the comics. After a while she progressed to trying to read the sentences herself. Mom, of course, was a voracious reader too and would always buy books whenever they went to the mall. As soon as the little girl learned to read, she began asking her mom to buy her books of her own. Given a choice, she’d automatically choose a book over a toy. This little girl grew up to read the Harry Potter series at age 8, the Lord of the Rings series at 11, and is currently reading the Hunger Games and Game of Thrones series. She always tops her English classes and her teachers are in awe of her vocabulary – all learned from books. Books are the treasured wealth of the world and the fit inheritance of generations and nations. If you didn’t grow up reading but would like your child to become a reader, it’s not too late. Start your kid with picture books. And it would be great if you would start reading too, in order to set the example. Pretty soon, you’ll see a big change in your children once they start reading, we promise. On National Readers Day, aside from their school activity you could invite a favorite uncle or relative, or maybe a celebrity relative if you’ve got one, to read aloud to them when they get home from school. To read a book for the first time is to make the acquaintance of a new friend…to read it a second time is to meet an old one.